If you’re jumping head first into a personal or a professional project where you’ll be responsible for working with M4V video files, you’ll need an editor that you can use. Considering that most media professionals use Mac computers due to their convenience with editing images and videos, it is imperative that you use this list to get the 5 best M4V editors for Mac OSX. It is important to note that the list of the below editors do not work with DRM-protected files. Though it is possible to download an outside converter that can help you to remove the protection from said files. Wondershare Filmroa for Mac(Originally Wondershare Filmroa for Mac(Originally Wondershare Video Editor for Mac)) is a great program that you can learn how to edit M4V on Mac with. It supports a wide variety of different video file types including: M4V, MPG, TRP, TS, M2TS, 3GP, ASF, F4V, MOD, DV, MKV, AVI, MP4, MOV, and more. It’s a simple program to use and it gives you an array of basic editing functions ranging from cropping to joining clips. 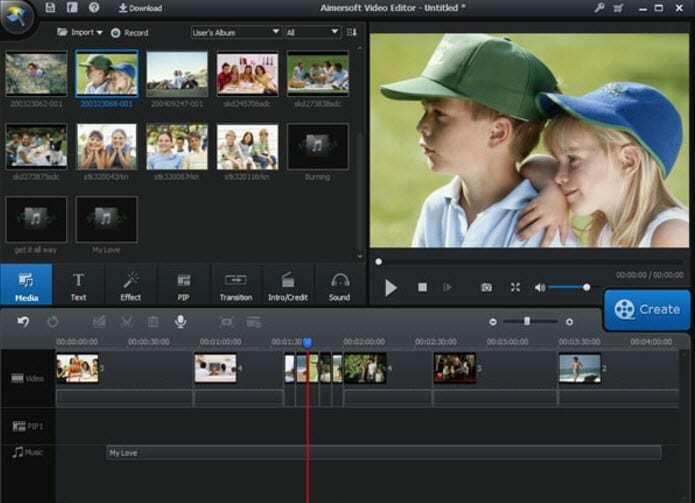 It is also one of the few M4V video editors that gives you more advanced editing options including picture-in-picture. Once you have finished working with the M4V editor Mac, you will be able to choose whether you want to share it to social media (Facebook or YouTube), if you want to save it to your personal hard drive for future viewing, or even if you want to burn it to a DVD. It is a unique and easy to use all-in-one program that is useful for any type of project. As a program that comes native with every Mac OSX, iMovie is a convenient way to learn how to edit M4V on Mac because it is entirely free. You will also have the opportunity to upgrade the program every time that a new version is released to Mac users. You will be able to take advantage of the multi-touch shortcuts on your Mac to ensure that you are able to edit your M4V videos as quickly as possible. 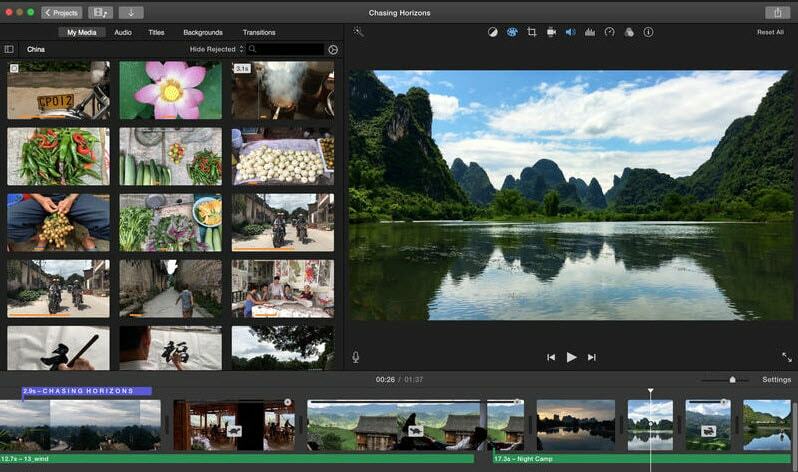 You will also be able to upload files to and from your video library, create professional-looking movies, and more. Much like Wondershare Filmroa for Mac(Originally Wondershare Filmroa for Mac(Originally Wondershare Video Editor for Mac)), you will be able to choose whether you want to use the professional editing features or the more user-friendly features. This all depends on the type of project that you are interested in completing and if you require in-depth tools. Once you have finished using iMovie as a M4V editor Mac, you will be able to export your files so they can be shared on websites or with friends and family members. One of the largest benefits of using Aimersoft Video Editor to learn how to edit M4V on Mac is the fact that there are so many tutorials on the internet that you can use to learn how to take advantage of the unique features that the program has to offer. If you’re searching for a unique and new M4V editor Mac, Voilabits Video Editor is a great tool that helps you to edit and retouch the frames in your video with ease. You can trim different fragments, join them together, work with special effects, balance, brightness, and more. You can even customize the framing that you are using in the video. You can even take advantage of a built-in webcam to add a monologue video to your final project. When you’ve completed it, you’ll have to save it to the format that you want and then share it to YouTube, Facebook, friends, or even family members. This tool is incredibly simple but also incredibly useful if you’re editing specific video files. There are a variety of different effects and capabilities that you will be able to take advantage of if you intend on editing the occasional video. With that being said, Xilisoft isn’t the best program to use if you are trying to learn how to edit M4V on Mac for professional purposes as it doesn’t pack the same amount of punch as the other editing programs discussed in this guide. Though it can be a great place to start learning how to easily edit your videos.